Paris - The last burst of qualifying matches for the 2018 World Cup allows some nations a chance to dream, but for football aristocrats Italy, the next few days are a potential nightmare. The last nine places in Russia will be settled in seven frantic days starting on Thursday. There are four berths up for grabs in Europe, where the eight best runners-up in the nine groups have been paired in home-and-away play-offs. The last three of Africa's five qualifiers will be settled in the final round of group games, although Senegal and South Africa will squeeze in an extra match on Friday. There are two long-distance play-offs as New Zealand face Peru and Australia play Honduras. In Europe, Italy, Greece, Switzerland and the Republic of Ireland are all seeded and play the second leg at home. For Italy and veteran goalkeeper Gianluigi Buffon that might not be such an advantage against Sweden. The Azzurri drew at home with both Spain and Macedonia in its group. The play-off puts Italy's proud record of World Cup participation is in danger. The Azzurri are tied with Germany for most appearances by a European nation, 18. But Germany have already made sure of a 19th berth. Italy are also the only one of the eight previous winners not yet sure of their place in this World Cup. Italy's defence needs to beware of Sweden, the top scorer among the eight playoff teams, with 26 goals in 10 games. Switzerland collected 27 points in its 10 group games, more than five of the nations that won their groups. Yet it came second on goal difference to Cristiano Ronaldo's Portugal. "They're obviously the seeded team, so the pressure's more on them than us," Northern Ireland forward Jamie Ward said. "We're always great as the underdogs, so I think it was a bit of a bonus us not being seeded." The encounter between Greece and Croatia pairs two nations that specialise in winning playoffs. If Greece win, they will become the first European team to reach three successive World Cups through play-offs. Croatia have won all four of their qualifying play-offs for major tournaments. Croatia have the star names with Luka Modric, Ivan Rakitic, Mario Mandzukic and Ivan Perisic, but Greece are seeded and home advantage could prove even greater as the two countries have agreed to ban away fans from the matches. The Republic of Ireland, which takes on Denmark, have a chequered history with playoffs. This is their eighth overall, a European record. They have won three and lost four, including the notorious game in France in 2009 when Thierry Henry's handball set up the extra-time goal that eliminated the Irish. "When there's been big questions put to the players, they've come up with the answers." Irish assistant manager Roy Keane said. The Danish danger man is Tottenham's Christian Eriksen who has scored in each of his last six appearances for his nation. "Denmark have a lot of skilful players, good options going forward and Eriksen is a really big player for them," Keane said. In Africa, Nigeria and Egypt have booked their tickets but three of the five group winners are still to be decided. In Group A, Tunisia are almost there. They lead Congo by three points and face last-place Libya at home. The Carthage Eagles could even qualify if they lose and Congo beat Guinea in Kinshasa, provided both games are low-scoring and decided by just one goal. Group C is finely balanced. Morocco travel to Abidjan for a game that will decide who qualifies. Ivory Coast have home advantage but Morocco have a one-point edge in the table and will qualify with a draw. "We need a team that will go to war and every player to be ready to give 200 percent," said Ivory Coast manager Marc Wilmots. In Group D, Senegal lead by two points and play South Africa home and away, needing two points to be absolutely sure. Senegal's likely progress has been delayed because their defeat in South Africa last November was scrubbed out. That match was decided by a bizarre penalty which led to a life ban for the referee, Joseph Lamptey. The four teams competing for the two remaining places will have to go the extra kilometre. 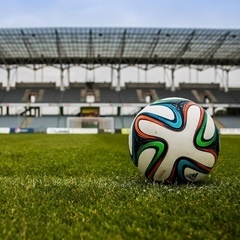 Australia, who have already squeezed through one tense play-off against Syria, take on Honduras who edged the United States to finish fourth in their region. The first leg is in San Pedro Sula, then the teams must cross the Pacific for the second leg, nearly 14,000 kilometres away in Sydney. New Zealand, which won the 11-nation Oceania group, and Peru which finished fifth in the South American group, will be flying the other way. Their first leg is in Wellington, the second, in Lima late next Wednesday, will bring the long qualifying process to a close.